"This month has just flown by and now it's Thanksgiving!" Jennifer from Town and Country Living shared some great inspiration images as she was thinking about going with a more natural theme this Christmas. Jody from Rooted in Thyme gave us some paperwhite inspiration. Not only does she use containers, but she has them growing "en masse" in her lovely garden. 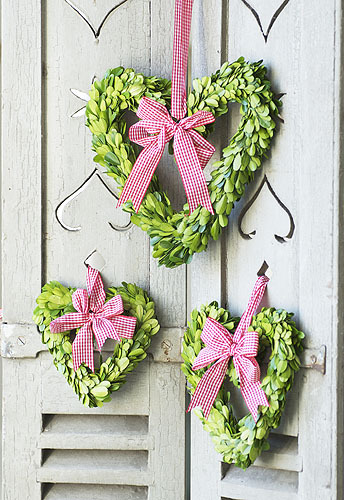 You'll love her potting cupboard, too. And Brooke from Creative Country Mom has a Fall Country Kitchen Tree that will have you putting up that tree just a few weeks earlier next year. 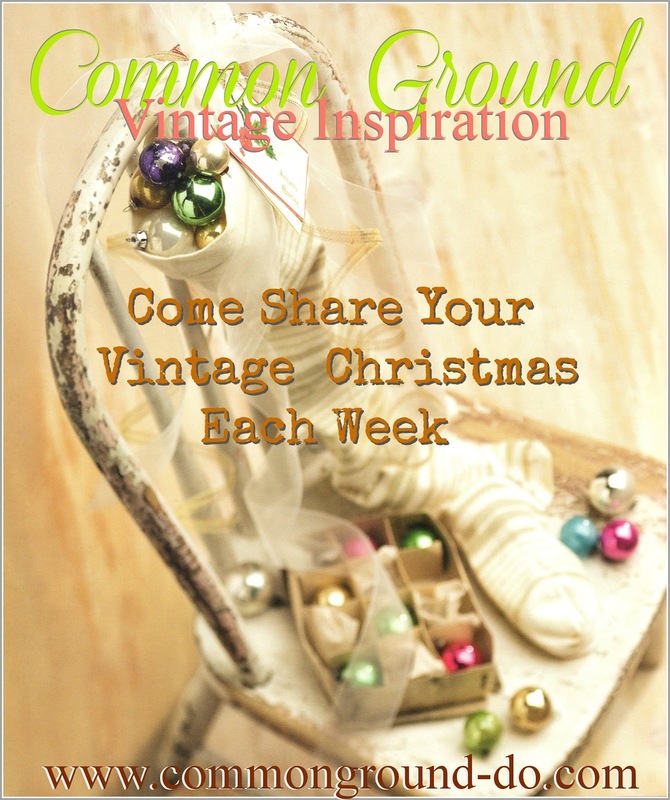 whatever says Christmas or Vintage to you! Hi Debra! I wish you and yours a wonderful Thanksgiving. Great links! So glad I happened upon your blog. Debra, There is so much inspiration everywhere! Thanks for featuring three of the best this week! Wow. What a surprise! Have a Happy Thanksgiving! Thanks for your sweet visit! I'm going to find your china cabinet now! Hope your Thanksgiving is wonderful! Thank you for your inspiring blog. I love stopping by each week to see what you have been busy creating. Just dropping in to wish you a blessed Thanksgiving, dear friend! Our NoN~Traditioanl and Traditional Thanksgiving with family is just behind us and now we move into the days of Christmas here On Crooked Creek!!! 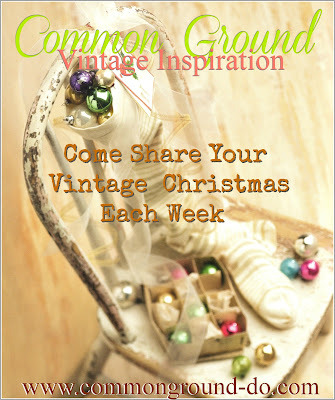 Looking foward to a month of Vintage inspiration!!! Very inspiring! This is my first visit. I hope your Thanksgiving was delightful!